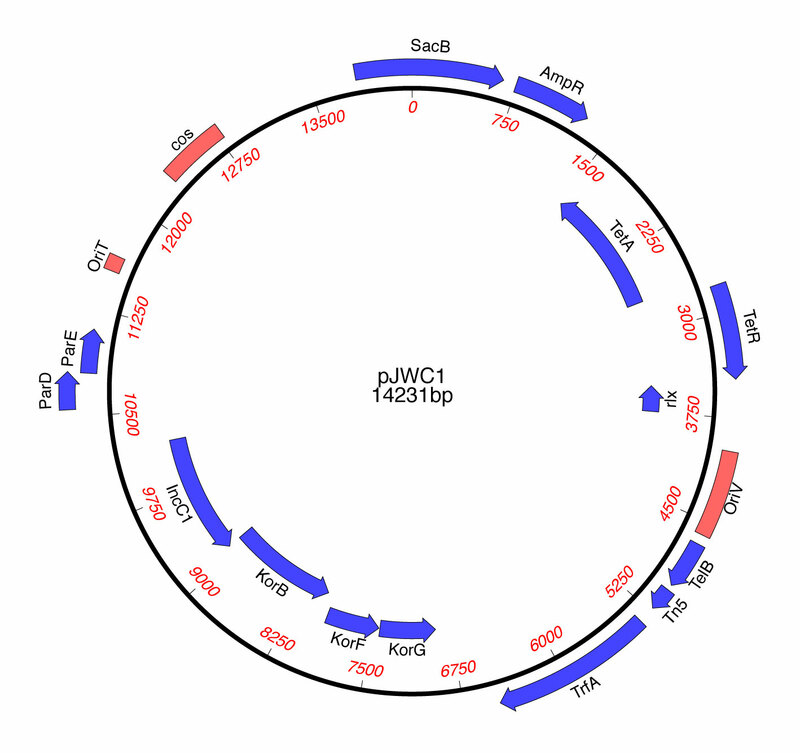 pJWC1 is an IncP1-α group broad-host-range cosmid vector. Natural products from environmental DNA hosted in Ralstonia metallidurans. Craig JW, Chang FY, Brady SF.